The founders of Cultural Cloth and Thrums Books discuss the art of traditional textiles, both heritage and innovation–spotlighting the release of the new book Rug Money. 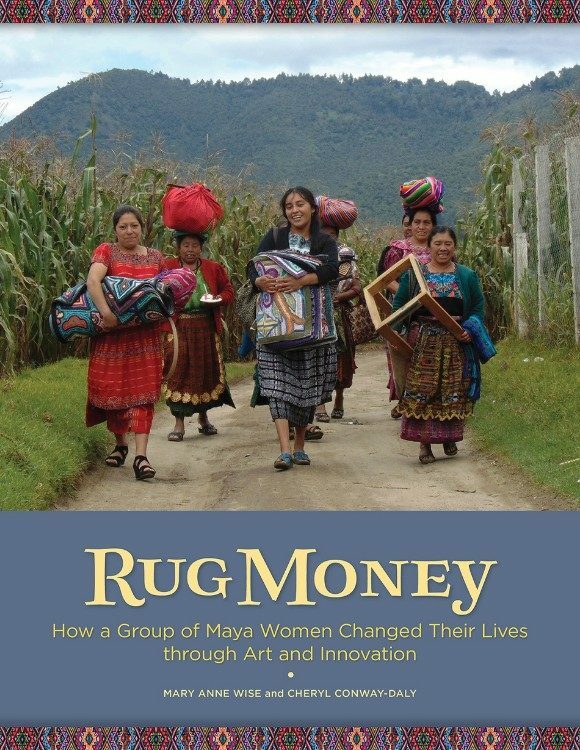 Featured speakers include the coauthors of Rug Money: How a Group of Maya Women Changed Their Lives Through Art: Mary Ann Wise and Cheryl Conway-Daly; Linda Ligon (Thrums Books founder); Deborah Chandler (Thrums Books author of Traditional Weavers of Guatemala); and Karen Brock (associate editor). Also in attendance will be Rosmery Pacheco, a Multicolores rug hooking artist from Guatemala. Linda Ligon founded Interweave Press in the early 70s on her dining room table in Loveland, CO. She went on the publish dozens of textile-related periodicals, notably FiberArts, Handwoven, Spinoff, Interweave Knits, Beadwork and many others, along with dozens of textile-related books. In 2006 when Linda sold the company, Interweave had 75 employees. In pursuit of her passion to tell stories about cultures where textiles are deeply embedded–and their makers– Linda founded Thrums Books and began publishing 2-3 books a year. Her books continue to win awards from the Independent Book Publisher’s Association. At Textile Center, Ligon will discuss the rationale behind her decision to publish specific books and the panelists will celebrate this latest release of Thrums Books, Rug Money. Book signing and rug sale to follow. Parking is available in the lot behind our building and at 3018 University Ave SE, and in the lot at 3300 University Ave SE, just 3 blocks east of Textile Center. Look for the bright green signs! Also, $3 parking is located at 2813 4th Street SE, 1 block north of Textile Center. There is no refund of lecture admission fees.